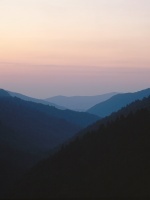 Tennessee is a state of the southeast United States. It was admitted as the 16th state in 1796. First visited by the Spanish in 1540, the region was explored by Daniel Boone in 1769 and became part of the United States in 1783. The short-lived state of Franklin (1784-1788) formed the basis for the Territory of the United States South of the River Ohio (1790) and the later state of Tennessee. Nashville is the capital and Memphis the largest city. Population: 5,960,000. Tennessee abounds with artifacts of the prehistoric Mound Builders, who were the earliest inhabitants of the area. Cherokee, Chickasaw, Shawnee, and Creek were in the region when it was first visited by a European expedition under De Soto in 1540. French explorers came down the Mississippi River, claiming both sides for France, and c.1682 La Salle built Fort Prudhomme, possibly on the site of present-day Memphis. The French established additional trading posts in the area, but they suffered continual harassment from the Chickasaw. Meanwhile, English fur traders and long hunters (frontiersmen who spent long periods hunting in this area) came over the mountains from the Carolinas and Virginia, prevailed over the Cherokee, and made ineffectual the French claims to the area, which in any event was lost (1763) by the French in the French and Indian Wars. The first permanent settlement was made (1769) in the Watauga River valley of E Tennessee by Virginians; they were soon joined by North Carolinians, including perhaps a few refugees of the Regulator movement. In 1772 these hardy settlers living beyond the frontier formed the Watauga Association, the first attempt at government in Tennessee, and in 1777, at their request, North Carolina organized those settlements into Washington co.; Jonesboro, the county seat and oldest town in Tennessee, was founded two years later. In the American Revolution, John Sevier was among the notable Tennesseans who served with distinction. When, after the war, North Carolina ceded its western lands to the federal government, the E Tennessee settlers, incensed at being transferred without their consent, formed a short-lived independent government (1784–88) under Sevier (see Franklin, State of). The cession was reenacted in 1789, and in 1790 the federal government created the Territory of the United States South of the River Ohio (Southwest Territory), with William Blount as governor. This act disposed of various schemes to place the area under the control of Spanish Louisiana. In 1796 Tennessee, with substantially its present boundaries, was admitted to the Union as a slave state, with its capital at Knoxville. It was the first state to be carved out of national territory. Tennessee's constitution, which provided for universal male suffrage (that is, including free blacks), was described by Thomas Jefferson as the least imperfect and most republican of any state. Armed with land grants awarded for service in the American Revolution, veterans and speculators (who had acquired the grants from veterans, sometimes fraudulently) swarmed in from the Carolinas, Virginia, Pennsylvania, and even from New England via such overland routes as the Wilderness Road and Cumberland Gap. Others poled keelboats from the Ohio up the Cumberland and Tennessee rivers. For the most part a rough and ready people, numbering over 100,000 by 1800, the settlers of Tennessee were nevertheless strongly influenced by the Great Revival, a wave of religious hysteria that swept the state that year. The virtues and vices of their strongly egalitarian society were exemplified by Andrew Jackson, who was prominent in the faction-ridden politics of Tennessee. By 1829 when Jackson became president, the state was prospering. The first steamboat had reached Nashville in 1819, the year in which Memphis, soon to become the metropolis of a fast-growing cotton kingdom, was platted. Internal improvement projects—canals and then railroads—were pushed, and a new, smaller wave of immigrants (predominantly Irish and German) arrived after the Cherokee and the Chickasaw were banished West in the late 1830s. Insatiable land hunger, the spirit of adventure, and personal considerations carried many white Tennesseans beyond the state; among them were Gov. Samuel Houston and David Crockett, both of whom had been conspicuous in the fight for Texan independence. A decade later the response of Tennessee to the request for volunteers to fight in the Mexican War was so overwhelming that it has since been known as the Volunteer State. Tennessee's James K. Polk, a Jackson protégé, was the President of the United States during that war. Although slaves were numerous in W Tennessee, and to a lesser extent in Middle Tennessee, and free blacks were subjected to a series of discriminatory regulations, the state was pro-Union; it voted in the presidential election of 1860 for its own John Bell, candidate of the moderate Constitutional Union party. Secession was rejected in a popular referendum on Feb. 9, 1861. However, after the firing on Fort Sumter and Lincoln's call for troops, the pro-Confederate element, led by Gov. Isham G. Harris, canvassed the state, and on June 8, 1861, a second referendum approved secession by a two-thirds majority. The one third opposed represented mainly E Tennessee, where slavery was a negligible factor and where Andrew Johnson (then U.S. Senator) and William G. Brownlow had strengthened the natural Union loyalties of the people. In the Civil War Tennessee was, after Virginia, the biggest and bloodiest battleground. The rivers served as Union invasion routes. Nashville was occupied by Gen. D. C. Buell in Feb., 1862, after the victories of Gen. Ulysses S. Grant on the lower Tennessee and Cumberland rivers (see Fort Henry and Fort Donelson). In April one of the bloodiest battles of the war was fought near the Mississippi state line (see Shiloh, battle of), and Memphis fell to a Union fleet in June. Confederate Gen. Braxton Bragg, defeated at Perryville, Ky. in Oct., 1862, retreated further in Jan., 1863, after the battle of Murfreesboro, and Grant, successful in the Vicksburg campaign, completely routed him (Nov., 1863) in the Chattanooga campaign. The Confederates did manage to hold on to Knoxville until Sept., 1863, and their cavalry, particularly the forces of Gen. N. B. Forrest and Gen. J. H. Morgan, remained active. An army under Gen. J. B. Hood made a last desperate attempt to regain the state late in 1864 but was defeated at Franklin (Nov. 30) and annihilated at Nashville (Dec. 15–16) by federal troops under G. H. Thomas. The Union military government that had been set up under Andrew Johnson in 1862 was succeeded in Apr., 1865, by a civil government headed by Brownlow. An amendment to the state constitution of 1834 freed the slaves, and, with ex-Confederates disfranchised and radical Republicans in control, the state was readmitted to the Union in Mar., 1866. As the first Confederate state to be readmitted, Tennessee was spared the worst aspects of Congressional Reconstruction, but the postwar years were nonetheless bitter. The organization formed largely to reestablish white supremacy in the South, the Ku Klux Klan, was founded (1866) in Tennessee, at Pulaski. The situation improved after Brownlow left (1869) the governorship for the U.S. Senate, to which the state also returned (1875) Andrew Johnson in vindication of his record as Lincoln's successor in the presidency. Brownlow's successor, Gov. De Witt C. Senter, although nominally a Republican, encouraged the calling of a new state constitutional convention. In 1870 the delegates drew up a constitution that rejected the reforms of the radical Republicans; African-American suffrage was limited by means of the poll tax and former Confederates were reenfranchised. Economically, the farm-tenancy system, which had replaced the plantation system, brought much misery; industry, however, made advances after the Civil War. The iron- and steelworks of E Tennessee were unable to meet the competition of Birmingham, Ala., but coal mining continued and textile production increased. The use of convict labor in the mines precipitated the state's first major labor disturbance (1891–92), but not until 1936 was the convict-leasing system abolished. A statewide Prohibition bill (not repealed until 1939) was passed over a governor's veto in 1909, and this question so divided the Democratic party that in 1910 a Republican was elected governor for the first time since 1880. In World War I the thousands of Tennessean volunteers in the U.S. armed forces included Sgt. Alvin C. York, who became one of the nation's most highly publicized heroes. In 1925 the state attracted international attention with the famous Scopes trial at Dayton. The fact that the state law banning the teaching of evolution was not repealed until 1967 is indicative of the strong role that Protestant fundamentalism played in the lives of many Tennesseans. Its further influence was reflected in the passing of a 1973 bill prohibiting the teaching of evolution as a fact rather than a theory. One of the most important events in Tennessee since the Civil War was the establishment of the Tennessee Valley Authority (TVA) in 1933. Although opposed by private power companies, the TVA succeeded in providing hydroelectric power cheaply and in abundance, bringing modern comforts to thousands. Over the years its programs expanded and were supplemented by other projects for water-resources development. Most important, the TVA was chiefly responsible for the basic change in the state's economy from agriculture to industry and for the significant growth and diversification of industry, especially during and after World War II. The TVA also came to be associated with atomic energy, for it provides the power for Oak Ridge, one of the sources of production of the constituents for the first atomic bombs. Since the late 1970s there has been significant growth in the service, trade, and finance sectors of the state economy and Tennessee has been very aggressive in attracting new industry. Many of the firms that have been setting up new factories and distribution centers in Tennessee come from America's northern industrial states and from Japan. The largest earthquake in American history, the New Madrid Earthquake occurred in the winter of 1811-12 in northwestern Tennessee. Reelfoot Lake located in Obion and Lake Counties was formed during this earthquake. Reputed "Turtle Capital of the World," Reelfoot Lake also features thousands of sliders, stinkpots, mud and map turtles. When Tennessee became a state in 1796, the total population was 77,000. The capitol building was designed by noted architect William Strickland, who died during its construction and is buried within its walls. Coca-Cola was first bottle in 1899 at a plant on Patten Parkway in downtown Chattanooga after two local attorneys purchased the bottling rights to the drink for $l.00.